Rethinking cholera treatment: is rice a better option? What if the cold medication you’re taking is actually helping to make your cold last longer and your symptoms worse? How could that happen? What effect would it have on your ability to infect other people? Those are the types of questions that researchers at the Ecole Polytechnique Fédérale de Lausanne in Switzerland tried to answer in a study about cholera. The team led by Drs. Melanie Blokesch and Andrea Rinaldo studied whether the currently used standard treatment for cholera could be improved upon by substitution of a key ingredient. The World Health Organization (WHO) estimates that there are 3-5 million cases of cholera worldwide leading to over 100,000 deaths each year. 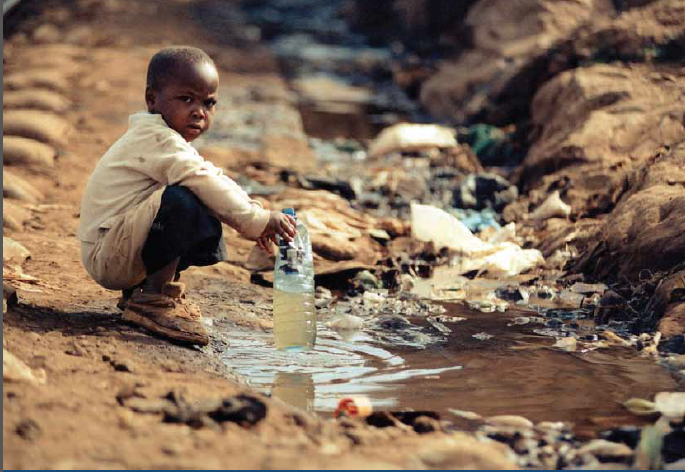 In developed countries, improved sanitation and clean drinking water have drastically reduced the incidence of cholera. However, the lack of basic infrastructure in developing regions has led to a re-emergence of cholera around the world as a public health threat. Once introduced, cholera can quickly sweep through an overcrowded urban slum or camp for displaced people. Cholera is caused when the bacterium Vibrio cholerae (V. cholerae) infects the small intestine. The bacteria produce two proteins: TCP, which allows the bacteria to grow in the intestine; and cholera toxin (CT), which is directly responsible for the profuse watery diarrhea symptomatic of cholera. Without treatment, these symptoms can lead to severe dehydration and death within several hours. But it’s not all doom and gloom. In up to 80% of cases, cholera can be successfully treated with oral rehydration salts (ORS), a prepackaged mixture of sugars and salts that is mixed with water and given to the patient as a drink. Most commonly used ORS mixtures contain glucose as the sugar and are extremely effective in reducing mortality. In a number of field studies, replacing the glucose in ORS with cooked rice powder proved to be a more effective therapy for cholera-associated diarrhea. Patients who received the rice-based ORS had reduced vomiting, decreased diarrheal volume and a faster recovery time than patients who received the conventional glucose-based ORS. Until recently, no one really understood the differences between rice- and glucose-based ORS treatments. In the new study published in PLoS Neglected Tropical Diseases, the researchers looked at whether or not V. cholerae responds differently to glucose or the complex starches from rice. When the bacteria were given glucose as a food source, they produced roughly four times more TCP and CT than bacteria that were fed rice starch as a food source. The type of sugar that the bacteria eat affects how much TCP and CT are produced, which, in turn, would impact the severity of disease. These results could explain why patients treated with rice-based ORS have less vomiting and diarrhea, faster recovery times, and shed fewer bacteria compared to patients treated with glucose-based ORS. The researchers also wanted to know whether rice-based ORS treatments could impact the progression of a cholera epidemic. To do this, they used data from the 2010 cholera outbreak in Haiti to generate a mathematical model. Their model predicted that if rice-based ORS therapies were used instead of glucose-based ORS therapies, the total number of cholera cases in the first 14 months of the epidemic would drop from the 520,000 cases reported by the Haitian Ministry of Health to 375,000 cases. Glucose-based ORS therapies have been the WHO-recommended standard for treating diarrhea because they are easy to administer and effective. The WHO currently does not support rice-based ORS because these treatments are more costly ($0.20/litre versus $0.07/L for glucose-based ORS) and the mixtures are not as stable. Even so, it is worth reviewing current treatment methods to see if rice-based ORS therapies would be an effective option to treat the symptoms and combat transmission in areas where cholera is endemic. Medicines that target only the symptoms of a bacterial or viral infection are often judged solely on how fast they can make the symptoms go away. When evaluating the effectiveness of a treatment, it is also important to consider any effects it might have on the microbe causing the illness, such as making the microbe more harmful or easier to transmit. These under-appreciated side effects could influence not only how long a person is sick, but also how quickly and widely a disease can spread. Reference: Kühn, J., Finger, F., Bertuzzo, E., Borgeaud, S., Gatto, M., Rinaldo, A., and Blokesch, M. (2014) Glucose- but not rice-based oral rehydration therapy enhances the production of virulence determinants in the human pathogen Vibrio cholerae. PLoS Neglected Tropical Diseases, 8: e3347.